Amy Rawlinson, Kraft Canada’s director of marketing for the Kraft Peanut Butter brand, describes the phenomenal success of the Stick Together marketing campaign based on a comprehensive packaging redesign and rebranding. If getting to the top is indeed the easiest part of staying there, then the venerable Kraft Peanut Butter brand has got to be one of the hardest-working brands in the history of Canada’s food marketing. And it just may be. At least since about a year ago, when Toronto-based food giant Kraft Canada Inc. relaunched Canada’s bestselling peanut butter with a fresh new look and brand identity across the country in a concerted, multimedia marketing blitz that has lifted its legendary mass appeal amongst Canadian consumers to a whole new level of branding and packaging excellence. First introduced to Canada in 1960, Kraft Peanut Butter quickly rose to emerge as Canada’s clear Number One peanut butter brand by 1962—a market-leading position that it has not only held with an iron grip over the years, but has solidified it with unrivaled market share dominance and consumer reverence. Familiar to millions of Canadian households from coast to coast, the brand also enjoys a unique status within Kraft’s vast product portfolio as one of its select few products line that is produced exclusively for the Canadian domestic marketplace, where its remarkably long-enduring love affair with consumers has made it one of the parent company Kraft Foods Group, Inc.’s most celebrated branding success stories worldwide. 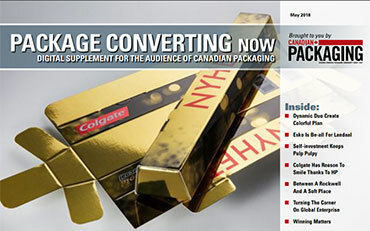 Perhaps even more remarkably, Kraft Canada has retained the services of the same package design agency for the last 38 years—a virtual eternity in today’s constantly shifting marketing business landscape. “Kraft Canada was my very first client, and their support over the years means a whole world to me both on a personal and professional basis,” says Thomas Pigeon, founder and chief executive officer of the Oakville, Ont.-headquartered branding services provider Pigeon Brands. 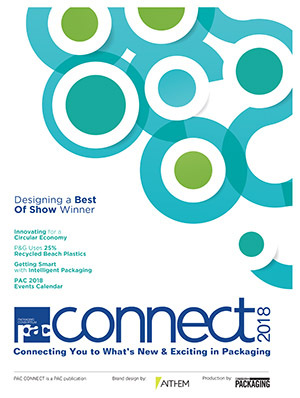 “It really is a dream client that in many ways enabled my company to become the well-recognized design agency it is today,” Pigeon told Canadian Packaging in a recent interview. 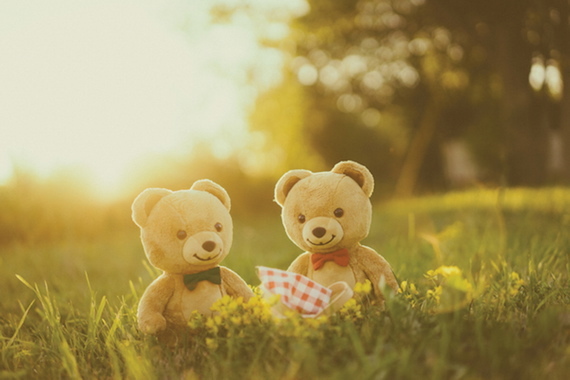 The Stick Together campaign from Kraft shows the bears enjoying a picnic. “The longevity of our relationship with Kraft is really something unheard of in this industry,” says Pigeon, whose company’s ever-growing product portfolio nowadays comprises an elite blue-chip roster of leading Canadian CPG (consumer packaged goods) brand-owners, with its founder widely acclaimed to be one of the country’s most knowledgeable and authoritative thought-leaders in the graphic package design field. 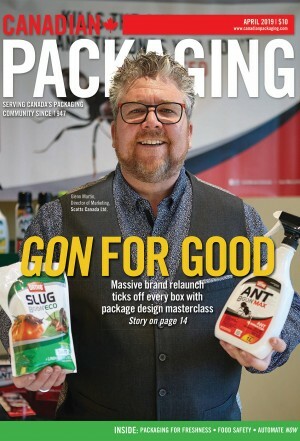 In part because of the brand’s extraordinary prolonged grip on the market-leading position in Canada, major packaging redesigns have historically been relatively few and far between over the years, Pigeon acknowledges. 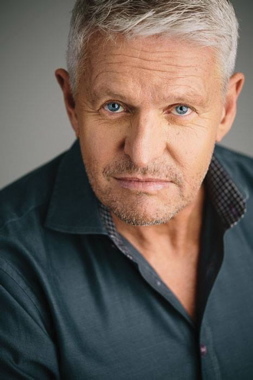 Pigeon Brands founder and chief executive officer Thomas Pigeon (above) and his team have worked on a broad variety of package designs and other branding projects with Kraft Canada over the past 38 years. Since the last major comprehensive package redesign in 1994, the family-size jars had remained looking largely the same—receiving a fairly minor graphic makeover during the wide-scale conversion of the jars from glass to PET (polyethylene terephthalate) plastic back in 2006. But as sales for the entire spread products category began to soften across Canada in recent years, it started to become clear to both Kraft and Pigeon that a further packaging upgrade would ultimately be required to revitalize and play up the brand’s credentials as the category leader, as confirmed by an astounding 70-percent market share for its Kraft Smooth Peanut Butter anchor brand, according to Nielsen Marketing. 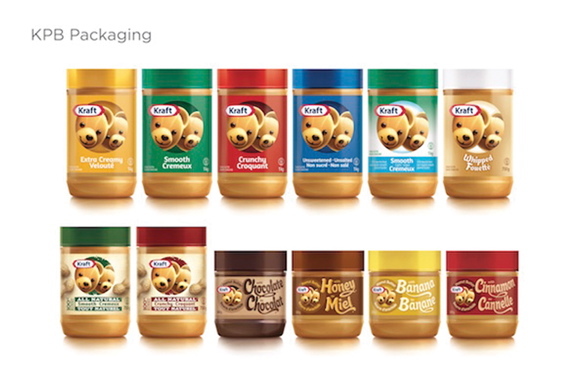 This realization ultimately led to last year’s dramatic reemergence of the Kraft Peanut Butter brand in stylish, contemporary new packaging, an expanded range of flavors, and a vastly increased emphasis on using the brand’s iconic bears as a key sales driver and brand-builder. “The early thinking on the next redesign began about five years ago, when we started to seriously try to understand what it is that drives the Canadian consumers’ connection to this brand,” relates Pigeon Brands creative director Todd Ellis. “After an extensive, in-depth exploration of the brand, it became clear to us that the bears really are the brand,” he recalls. 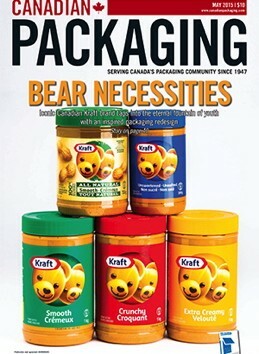 “This made us believe that in order to solidify the brand’s iconic status as Canada’s dominant brand of peanut butter, we would need to bring the bears front-and-center and elevate them from just being photos of stuffed teddy bears on the label into real-life, loveable, recognizable and transportable physical entities that Canadian families, both children and adults, would instantly relate to,” Ellis explains. To accomplish that, Kraft and its partner agencies turned to Canada’s leading toymaker Gund Canada to produce the custom-designed, brand-trademarked iconic bears—distinguished only by their red and green bow-ties—that would go inside some 100,000 special-edition gift-boxes containing newly-redesigned Kraft Smooth Peanut Butter as well as to be used at in-store promotions across Canada to draw public attention the brand makeover. Working closely with Kraft’s internal branding team and the company’s Toronto-based advertising agency partner Taxi, Pigeon designers used a combination of traditional illustration and CGI (computer-generated imagery) to develop the bears’ new look for the labels, jar closures, POP (point-of-purchase) merchandising displays, toy sets and other multimedia marketing platforms utilized in the nationwide Stick Together marketing blitz that by all accounts took the Canadian marketplace by storm. From Left: Kraft Canada’s senior brand manager Aaron Nemoy, finance manager June Au, category sales planning manager Caroline Drolet, senior director of grocery brands Leisha Roche, Amy Rawlinson, and associate brand manager Ananda Smith are joined by Pigeon Brands’ Todd Ellis (second from right) and Jeffrey Weaver. 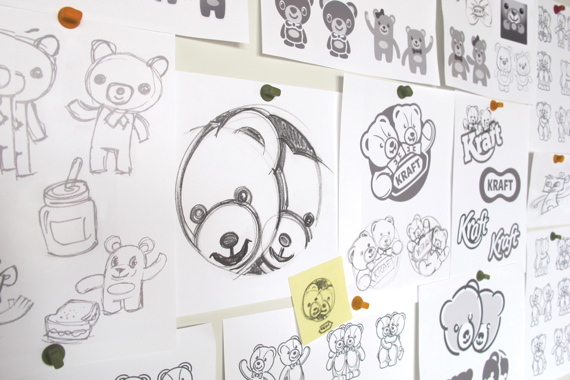 “All those thousands of bears sold out within two months of landing on the store-shelves,” beams Kraft’s director of marketing for the brand Amy Rawlinson. 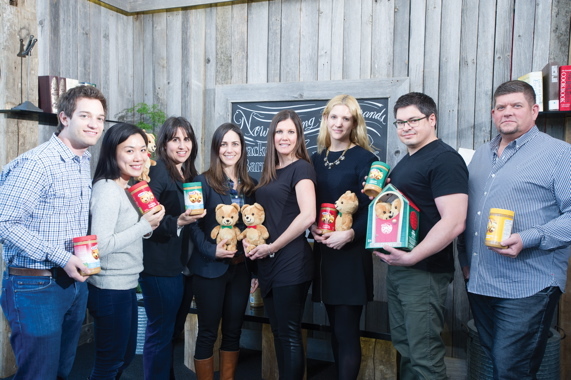 “We wanted to make the gift of a teddy bear as personal as possible for our consumers with this one-of-a-kind packaging, and we were really excited by their overwhelmingly positive response,” says Rawlinson, complimenting the entire Pigeon Brands project team—comprising 10 designers, account reps, graphic consultants and production artists—for their tireless work and efforts in helping make Stick Together an unqualified marketing success surpassing all expectations. According to Rawlinson, Kraft has already ordered another large quantity of the truly collectible teddy bears—reportedly fetching more than 10 times their original price on eBay and other online shopping sites—for the next “two waves” of Stick Together promotions to unfold later this year. “In addition to contemporizing the brand, we have elevated the bears to be the brand in order to make that all-important emotional connection with Canadian families,” reveals Rawlinson. 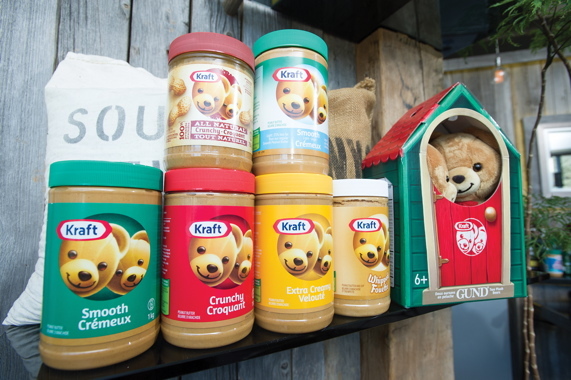 “We worked closely with Gund to help them create the plush bears, from specifying the body dimensions and proportions to choosing the fur material and the eyes, to ensure that the bears were exact representations of the new Kraft Peanut Butter bears used in the icon,” adds Ellis. Royal manufacturing plant in Montreal, the relaunched Kraft Peanut Butter product family now comprises 11 different flavor varieties—Smooth, Smooth Light, Crunchy, Crunchy Light, Extra Creamy, Whipped, Unsweetened/Unsalted, All Natural Smooth, All Natural Crunchy, Honey and Chocolate—retailing across Canada in 500-gram, 750-gram and one-kilogram jars featuring their own unique color schemes and graphic treatment to easily identify each flavor to the consumers. 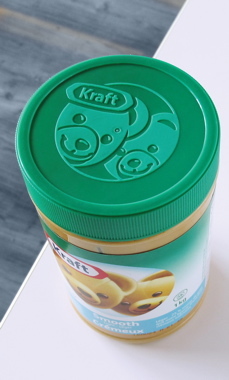 Each jar of different Kraft Peanut Butter flavors is topped off with a color-matching lid embossed with a graphic of the iconic brand’s mascot bears. 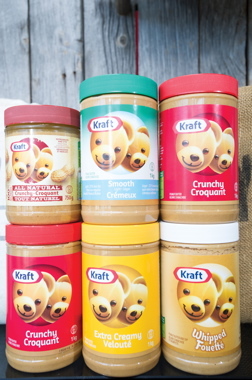 Produced by the Silgan Plastics Canada manufacturing facility in Lachine, Que., the new lightweight, impact-resistant plastic jars used to package Kraft Peanut Butter have helped the brand to achieve significant carbon footprint reductions by virtue of lighter weight and close proximity to Kraft Canada’s Mont-Royal manufacturing facility. Packaged in lightweight, high-impact, coextruded, food-grade PET plastic containers expertly produced by nearby rigid plastic packaging manufacturer Silgan Plastics Canada in Lachine, Que., the relaunched Kraft Peanut Butter is quickly garnering due peer recognition for its store-level impact and enthusiastic consumer response. In addition to being selected as a finalist in this year’s Canadian Grand Prix Awards competition of the Retail Council of Canada (RCC), the brand has also picked up a Silver Award in the In-Store Marketing category of this year’s PAC Global Leadership Awards competition of PAC, Packaging Consortium, for the attractive, high-impact POP display (picture on previous page) designed by Pigeon Brands and assembled by the Toronto-based structural design specialists Pro Print Services Inc. According to Rawlinson, Pigeon Brands duly deserves all the accolades it gets for the outstanding project execution involving one of Canada’s most important brands. “It is the largest business within Kraft Canada’s grocery sector,” says Rawlinson, defining Kraft Peanut Butter as a core “focus brand behind which we will continue to invest and innovate. 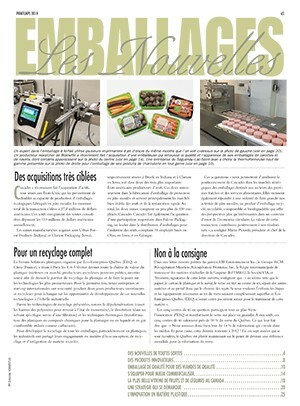 “Faced with an ever-changing landscape of the spread products category, we saw a unique growth opportunity in the ‘all-naturals’ product segment, which is growing in double-digits, so that is our primary focus for continued product development and innovation,” says Rawlinson, while citing a “very positive” consumer response to the Honey and Chocolate sub-brands introduced into the market last year. “There is also good growth potential for the product in terms of usage occasions, in going beyond just using it to spread on a piece of toast,” says Rawlinson, adding that Kraft is now marketing over 20 different snack recipes featuring Kraft Peanut Butter as one of the main ingredients. 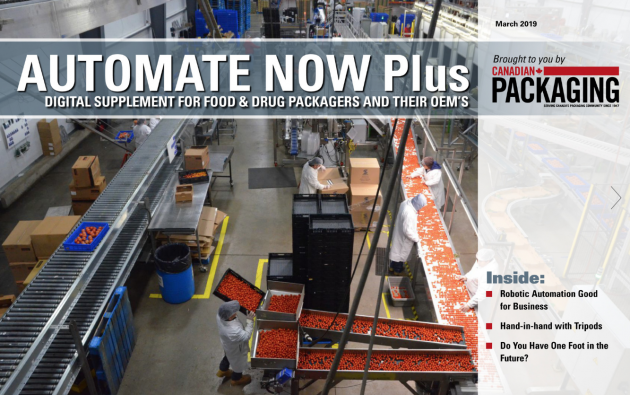 With an estimated 79 million pounds of Kraft Peanut Butter products sold in Canada in the last year, representing 37 million units, the comprehensive packaging makeover was as timely as it was effective, according to Rawlinson. Rawlinson attributes such stellar results to a flawless execution of Kraft Canada’s “purpose-led marketing initiatives” like the Stick Together campaign, the introduction of the plush Gund bears to generate industry hype and buzz, and the high-impact packaging redesign delivered by Pigeon Brands. “The are a fantastic and very collaborative partner to work with, being open to co-creation and feedback from our end, while maintaining a progressive, keen eye for all the design possibilities, to present a broad range of new concepts,” Rawlinson reflects. Pigeon Brands designers and graphic artists produced a multitude of sketches and preliminary design concepts leading up to the nationwide relaunch of the Kraft Peanut Butter brand in 11 different flavor varieties, each easily distinguished with its own unique color scheme and graphic treatment. “We have historically enjoyed a strong relationship with Pigeon Brands because they have always strived hard to help set us apart from the competition,” she relates. “With this project, they have once again created a brilliant shelf presence and a fantastic bear icon that has really brought the brand into the 21st Century,” she asserts. “If you look at the whole peanut butter category out there on the shelves, there is no shadow of a doubt that we are the category leader,” says Rawlinson. “I am very proud of our graphics and the quality of our packaging—right down to the embossed lids and all the other finishing touches and flourishes throughout the packaging. Kraft Canada’s Amy Rawlinson shares a light moment with Pigeon Brands creative director Todd Ellis (left) and group account director Jeffrey Weaver. “Our ambition is for this brand to be the icon of ‘family togetherness’ in Canada, and the new design really captures the brand’s nearly 60 years of heritage of bringing Canadian families together, resonating with consumers of any age,” Rawlinson states, citing a “tremendous amount of positive support from consumers” for the new packages and brand mascots. “We have had over 15,000 contest entries from people writing in to comment on the new packaging and to send us pictures of themselves with the bears,” she reveals, saying the relaunch helped the brand to reignite its love affair with the all-important “millennial family” demographic of 18- to 34-year-old consumers. Says Rawlinson: “According to the Canada Food Guide, one serving of Kraft Peanut Butter equals a half-serving of meat or other alternatives. “Not only does the product taste great, but it is also a good source of key nutrients such as Vitamin B, Vitamin E, niacin, foliate and magnesium, while also being transfat-free and low in saturated fats,” she point out. “For the vast majority of individuals who can consume nut products, it can certainly play an important role in helping them maintain a well-balanced diet,” Rawlinson states. 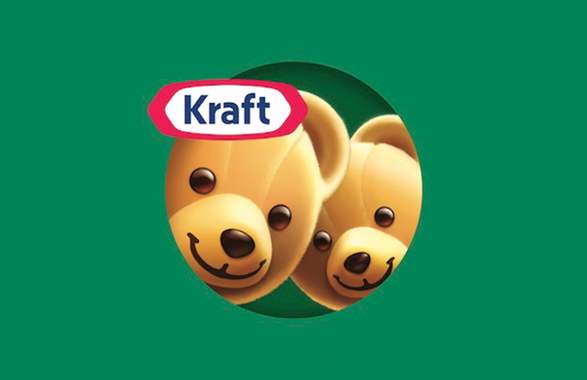 The increased prominence of the brand’s twin bear mascots has enabled Kraft Peanut Butter to reignite the product’s endearing love affair with Canadian consumers. Is Kraft crunchy peanut butter low or high in vitamin b6? It is my favourite brand. Hello Denise! The best people to ask are the brand owners – Kraft. Make sure your question is specific to them: High or Low in Vitamin B6… but high or low relative to what? If you mean the recommended daily intake, then make sure you state that in your question to Kraft. If you mean relative to other brands? Consider also that Kraft manufactures a lot of different peanut butter types – all of which could have different levels of B6. Be specific with them to give yourself the best chance at an informed answer.